As of November 1, 2018, all reservations will be taken exclusively through Airbnb. Our listings on Airbnb do not include breakfast and have a three-night minimum stay requirement. 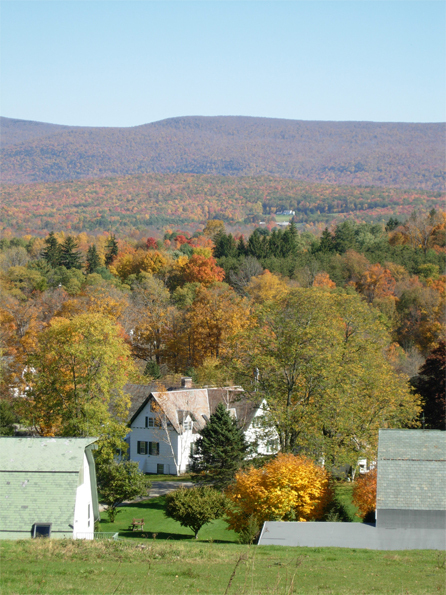 Taraden Bed & Breakfast is nestled on 20 acres of southwest Vermont farmland in the beautiful and serene Village of North Bennington. Taraden, once a part of the Park-McCullough Estate started out as a dairy farm, then became an artist's retreat and studio and as of September 2006 has become a respected bed and breakfast. It is also our home. 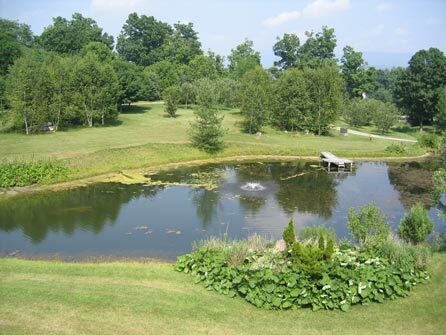 Situated in the Vermont Valley with views of Mt. 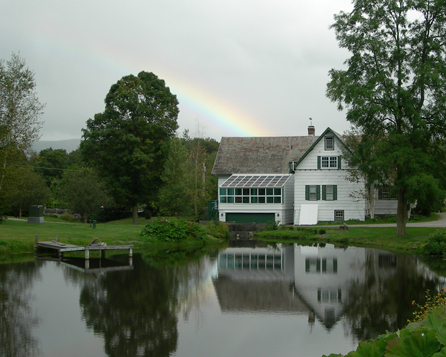 Anthony and the Taconic Mountains to the south and the stately Green Mountains to the east (and never a dull sunrise or sunset), Taraden offers a year round quiet and private escape that we call "our little piece of paradise." The bed & breakfast features three large suites newly renovated in soft colors with modern baths. Each suite has a private bath, refrigerator, and television. The spacious Night Pasture suite has a living room and a separate bedroom for two but can accommodate up to four guests. The West Wing suite sleeps three; two in a queen bed and one in a twin bed in an adjoining room. The Cottage suite sleeps two and is located in a separate private cottage that once served as the farm store. We offer our beautiful "Media Barn" studio (60' x 35') for small events including business meetings, dance and art classes. We also are offering our beautiful Breakfast Room (can comfortably seat 20) for smaller meetings, wedding and baby showers, and luncheons. Visit the new Gallery to see more photos of Taraden. 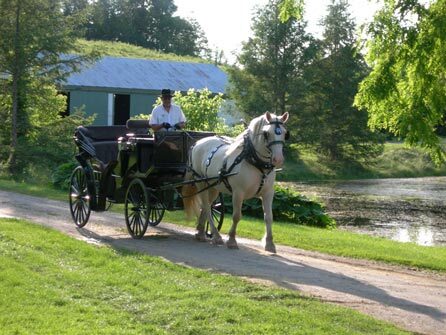 Lively's Livery is a local business that provides horse-drawn carriage services. 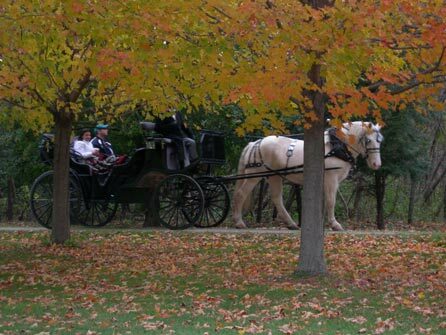 Taraden guests can arrange to have a carriage pick them up right outside, take a tour of the area, and be brought right back to Taraden. Visit the website of Lively's Livery to view the services offered and to make arrangements.